Crazy Little Thing Called Love examines this question and so much more. 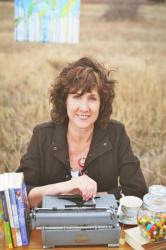 Beth Vogt’s characters are well-crafted and deal with the struggles of life and the ramifications of impulsive decisions. Much of Vanessa and Logan’s relationship is shared through flashbacks. While I enjoyed these glimpses into their feelings and emotions, I did wish for more present-day communication and development as they rekindled their relationship. I loved the quotes at the beginning of each chapter! They were perfect precursors, and I looked forward to reading each one. An engaging plot and endearing secondary characters round out this narrative, making it an enjoyable summer read. I look forward to continuing the Destination Wedding series and can’t wait to see where the next wedding will be. I received a complimentary copy of Crazy Little Thing Called Love through Litfuse Publicity in exchange for an unbiased review. I appreciate the opportunity to read this story and share my thoughts. Beth K. Vogt believes God’s best often waits behind the doors marked “Never.” A 2015 RITA® Finalist and a 2014 Carol Award finalist, Beth is a contemporary romance novelist with Howard Books. Her 2014 novel, Somebody Like You, was one of Publisher’s Weekly’s Best Books of 2014. 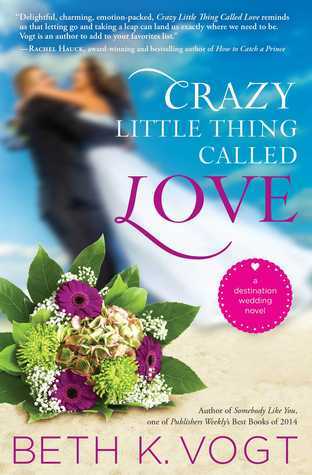 In 2015 she introduced her destination wedding series with both an e-novella, Can’t Buy Me Love, (May) and a novel, Crazy Little Thing Called Love (June). I think you are spot on with the flashback bit. They were cute and clued us into their past, but we didn’t get to see as much of a connection in the present.